Powerful and multifunctional, a reciprocating saw can tackle the most difficult of jobs. From household projects to professional demolition work, this is a saw that’s ideal for performing fast, rough cuts. It’s also great for those hard to reach areas, with a long, narrow blade, making it a fantastic all-rounder for your toolbox. Whether you need to cut through wooden boards, plastic piping, or metal surfaces, a Ryobi reciprocating saw is an excellent choice. This is because in addition to being lightweight and great value, this range can perform over 160 cuts in one charge, making it practical, too. Cord-free, our selection of Ryobi cordless reciprocating saw models offer flexibility and faster cutting action. But that’s not all. With Anti-Vibe and GripZone technology, these saws provide user comfort, as well as optimal levels of control. 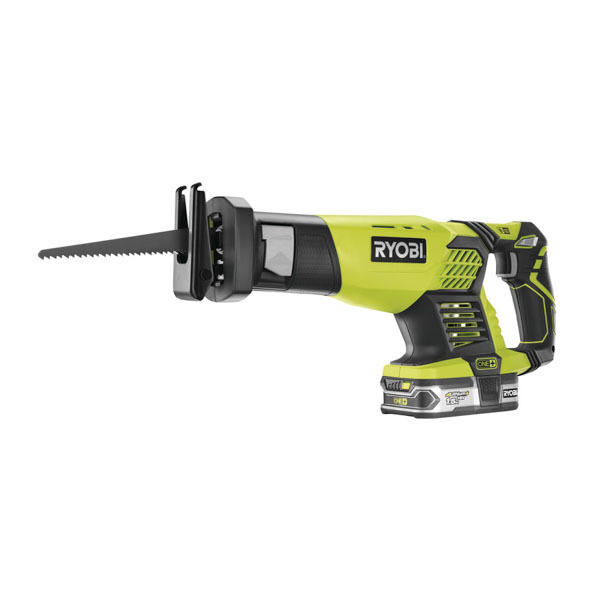 Choose between a variety of Ryobi ONE+ 18V reciprocating saws. Available in bundles or body only options, these power tools are easy to operate. Simple to use, the blade clamps can be adjusted without the need for tools, making it easy to alter settings. What’s more, they also have a long blade life. This is because the Ryobi saws allows the user to change the shoe position, ensuring every part of the blade can be used. As well as being powerful, comfortable and easy to operate, Ryobi 18V reciprocating saws are guaranteed by a warranty. Lasting for 3 years, you can buy with the utmost confidence. So, choose SGS Engineering and order your new reciprocating saw, today.